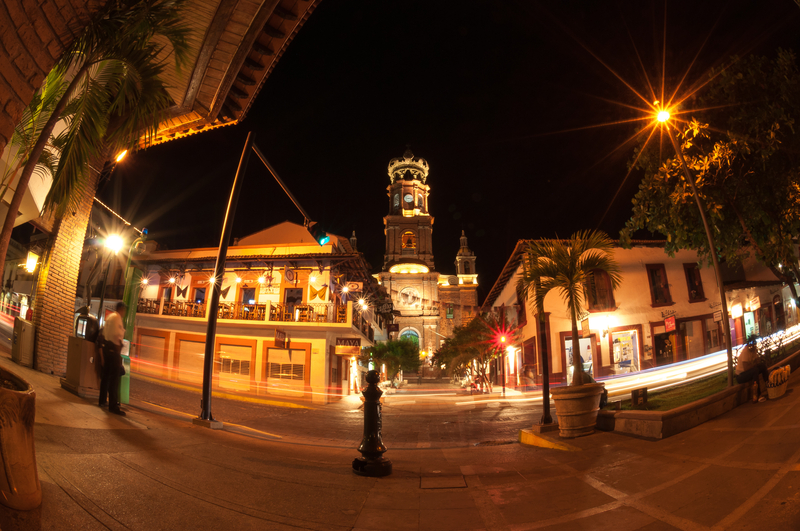 Families gather on Sunday nights in the Puerto Vallarta town square to dance. 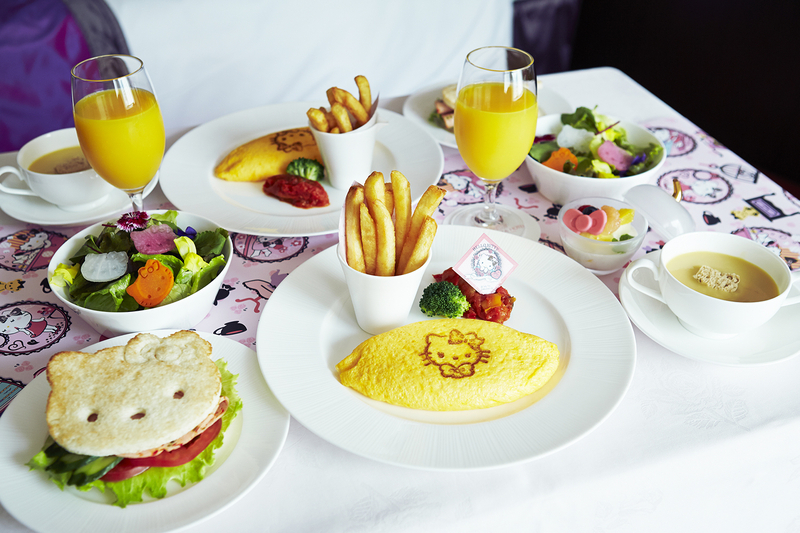 Grandchildren will love the "Hello Kitty" themed breakfast at Keio Plaza Tokyo. 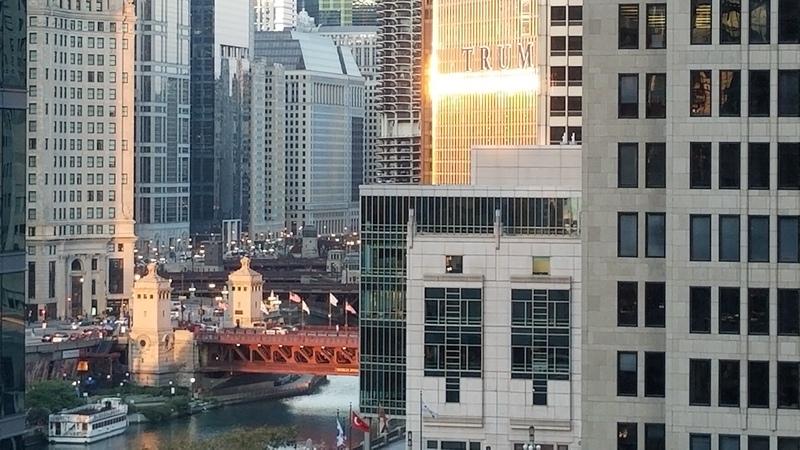 View of the Chicago River from your cozy Loews Chicago Hotel room. According to AAA, 103 million Americans traveled over the 2016 holiday season, a 1.5 percent increase over the previous year. Although 9 out of 10 vacationers took road trips, air travel was also up by 2.5 percent, largely due to lower fuel prices. If your family’s summer plans are as busy as most, consider planning a multigenerational getaway during the shoulder season between Thanksgiving and spring break. Avoid traveling over the Christmas-New Year’s week, and you will save on flights and hotels, and find destinations much less crowded. Here are five places you may not have considered that offer diversions for all family members, regardless of age or activity level. For an easy-to-plan, three or four-generation beach vacation, nothing beats an all-inclusive resort with activities for all ages. Family members can budget trip costs with confidence, and save in regions such as Mexico’s Riviera Nayarit on the west coast, which often has cheaper rates than Cancun and just as beautiful beaches. At new resorts like Now Amber, winter season rates that include meals, activities, beverages and entertainment start at US$354 per night for a family of four. Choose from luxuriously furnished doubles with balconies, suites and handicap accessible rooms; several a la carte restaurants provide variety for family meals. There’s 24-hour room service to please teens when they’re not in the Core Zone club, counselors entertaining ages 3- 12 enrolled in the active Explorer’s Club, premium liquor at five bars, and in-room minibars that are restocked daily. This resort is near the heart of the Puerto Vallarta village for those who want to check out the galleries, bike ride along the waterfront Malecon, or tour the city’s Cathedral. Swim, play a complimentary round of golf, try karaoke, or join the Monday Night Tailgate parties at the beach, where a video screen showing live football games is set up on the sand. The resort’s app allows guests to review activity schedules, access WiFi and make free international calls to the US, Canada and Mexico to family members who couldn’t join the fun. If your family cherishes winter’s hot chocolate opportunities, there’s no better destination than Hershey. Grandparents will love this compact, tidy town revolving around the candy maker’s factory, hotels, theme parks and other tourist enterprises because it’s so easy to get around… or take a break. Younger generations can ride roller coasters during the parks’ winter weeks (closed January 2-March 30), while elders indulge in a dark chocolate massage at Hershey’s new day spa. During Chocolate-Covered February, family packages valid Feb. 1-28 include breakfast, hot chocolate, cookies and milk for four, and admission to the Hershey Story’s Museum Experience, while romance offers for two include chocolate martinis. Although the themepark is closed, families can play at Hershey’s Water Works indoor water park and at Zoo America, open daily. Weeknight family rates start at $255; for couples it’s $159 at the comfortable Hershey Lodge. Hershey’s Chocolate World, always fun, is the place to encourage kids to play with their food. They can make S’mores they way they like them; mix and match favorite Hershey products like Reese’s Pieces, Kisses and more in custom packaging; and even personalize a chocolate bar with a custom wrapper. It’s not all chocolate: the Hershey Story’s Museum includes interactive exhibits about the history of American enterprise; the AACA Museum features vintage cars, bikes and buses; and there are caves to explore at Echo Dell. (this ticket booklet is available in 12 major cities) and make museum-going easy and flexible, especially with school-age kids. Avoid the lines to see Sue, the Field Museum’s famous T-Rex before she leaves in February for her makeover, commiserate with penguins at the Shedd Aquarium which is more about habitats than fish tanks, or tiptoe boldly onto the 103rd floor Ledge at the Willis Tower’s Skydeck. For just $99.75 per adult, $84.75 for ages 3-11, every family member gets nine days to see any five of the top seven attractions as they please. There are dozens of great restaurants where you can meet up for dinner and swap stories. The centrally located Loews Chicago Hotel has a “Snowed In” package valid until April 1, 2018 that’s all about cozy, with complimentary hot cocoa and cookies with an in-room movie, valet parking, and a fold-out tent with a campfire set to make fresh S’mores, starting at $169 per night. Alternatively, call in a babysitter to enjoy 20% off small plates and artisanal cocktails at ETA, or use the discount on their warm-up spa treatments. While other destinations have been in the news for all the wrong reasons, Italy remains a favorite getaway for Americans thanks to its rich culture, beloved cuisine and affordability. While the weather is relatively mild (you may get some snow), it’s a great time to head indoors to explore the art collections at a palazzo of choice, get timed entry tickets to the Vatican, and amble along the covered markets shopping for fungi. Shoppers will love the sales all month in January. In late January and February, the locals begin rehearsals for the celebration of Carnevale (Mardi Gras). You’ll see acrobats and parades at Piazza del Popolo on Feb. 13, 2018. The colorful, contemporary Gioberti Art Hotel combines convenience with comfort: located a block from the central Termini train station, it’s a half-hour away from the airport via the Leonardo Express, and across from bus and underground stations, a well stocked mall, ATMs and lots of snack food restaurants. Best yet, it’s near the under-appreciated Palazzo Massimo, Rome’s greatest collection of classical sculpture, and close by the intricate mosaics of the 5th century Basilica di Santa Maria Maggiore, open free to the public. Purple Executive rooms are stylishly outfitted with built-ins, coffeemaker, fridge, workdesk, sofabed and unexpected niceties like a bathrobe so you can recover from jet lag in comfort. Winter’s “Special Non-Refundable” bed and breakfast rates are 132 euros per night for family rooms; some connect. Whether it’s Tokyo restaurants having more Michelin stars than any other city , or the epic success of Pokemon Go!, interest in Japanese culture has boosted tourism by 18% over last year. Tokyo is also our pick for first time visitors to Japan because it’s the most easily accessible point. The variety of sights and sounds include pre-dawn outings to Tsukiji Fish Market and Shinjuku billboards that stimulate the senses. No need to spend a lot of time in museums when, at a hotel like the Keio Plaza – Tokyo’s very first highrise — traditional Japanese culture, in all of its forms, abounds. Monthly themes inspire desserts shaped like Mt. Fuji, Ikebana flower arranging workshops, or rental yukata robes and slippers to wear around town. The enormous lobby has displays of classical ceramics and hand painted fans. All ages can participate in a tea ceremony with tea master Michiko and try housemade sweets once reserved for samurai. In addition to comfortable suites and connecting twin-bedded rooms, the Keio Plaza’s white towers feature eight “Hello Kitty” themed rooms to thrill the kids, and a 45th floor Sky Lounge to interest others. Don’t worry about baby – she can check into the supervised nursery for infants and toddlers while other family members try the wellness spa or catch up at one of the 15 restaurants or sake bar. Outside, there are city bus tours and free shuttles to Tokyo Disneyland. Guests get complimentary smartphones with free WiFi and international calling. Kintetsu, a leading travel agency, can fly a family of four from the West Coast, and book luxury club rooms with breakfast for five nights, airport transfers and a weeklong Japan Rail Pass (essential for sightseeing), for $8,600 plus fees and taxes, a low season bargain.